We all dream of flying first class at least once in our lives, however not all of us can afford a business class seat or an upgrade. So if you’re going to do it, you might as well do it in style. 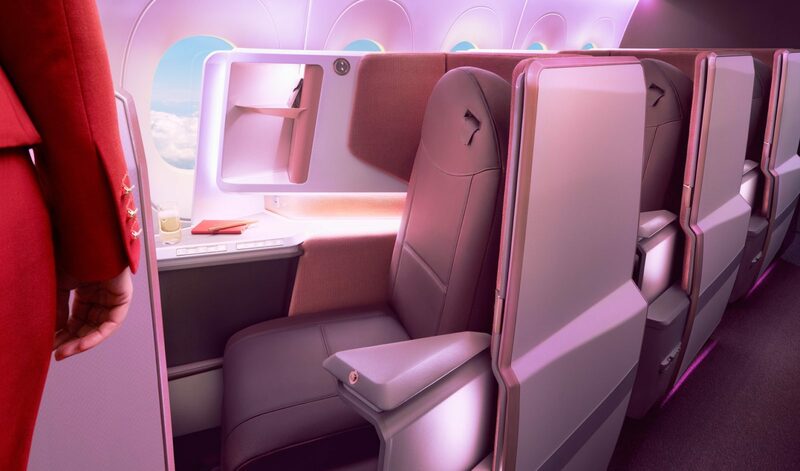 British airline Virgin Atlantic has finally unveiled the designs for its new business-class section that will feature in its incoming A350-1000 fleet. The cabin features brand new ‘Upper Class’ suites and a social space called The Loft. 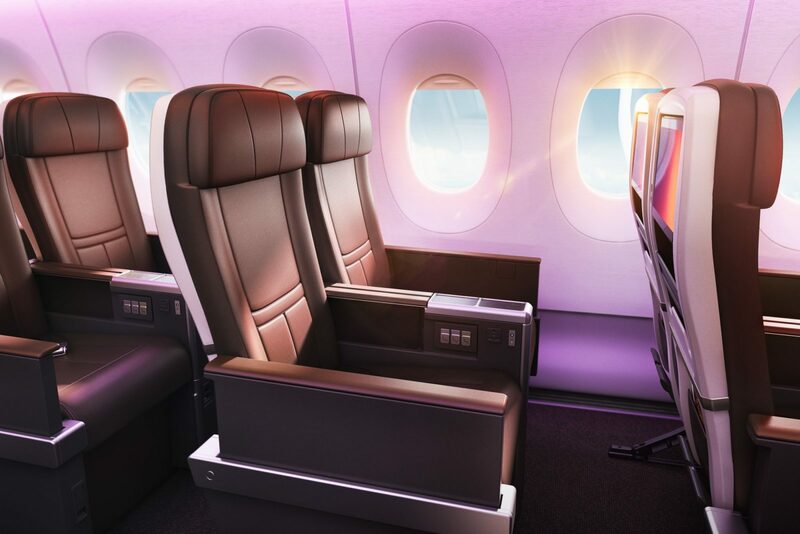 Each lie-flat, direct-aisle seat comes with its own sliding door, plenty of space and storage, adjustable mood lighting, and an 18.5 inch (47 centimetre) screen. There will be 44 suites on the aircraft in a 1-2-1 configuration. Meanwhile, Virgin Atlantic has also taken the opportunity to update its iconic in-flight bar The Loft, where passengers can gather, chat, grab a drink or dine with friends. The area includes seating and a large 32 inch screen with Bluetooth connectivity. It provides space for eight passengers, and all of the chairs in The Loft feature seat belts. In addition, the UK carrier has also unveiled a new premium economy seat and an economy seat. 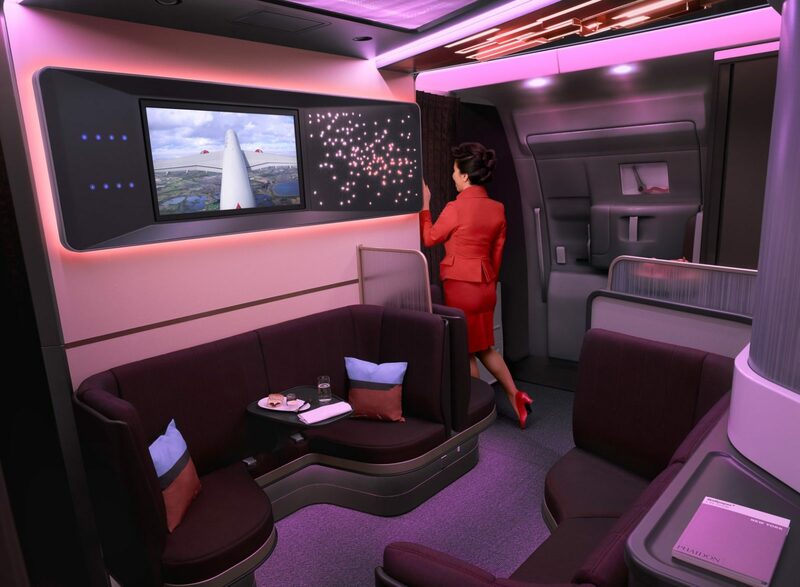 Premium passengers will also get more storage space and economy passengers can look forward to a new entertainment system, controllable by personal devices.